Outsourced SMS text messaging is an effective way to keep in contact with members of any organization. Rather than investing in communications technology, simply use our online management tool to organize lists of phone contacts. Enter up to 160 character messages online and send this message to your selected list of contacts - instantly! Database Systems Corp. (DSC) provides call processing technology that can deliver your important voice and text messages to communities, businesses or organizations. DSC provides SMS outsourcing services that text message mobile devices or cell phones in a fast and efficient manner. Call processing solutions include message broadcast and interactive voice response (IVR) services. 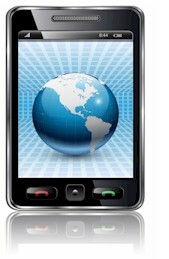 SMS outsourcing sends text messages to large groups of mobile devices. This modern communications technique is gaining popularity, particularly with targeted phone audiences such as employees or discreet groups of clients. Using SMS text messaging to contact members of a community during an emergency alert is also gaining popularity. Contact DSC to learn more about our SMS outsourcing services. Commercial SMS outsourcing services from DSC allow any organization to maintain communications with it members (or business associates) using SMS technology. Our online message delivery service is easy to use and it's secure. Once you've registered for our service, here are the simple steps required to send voice messages. Create and upload one or more list(s) of mobile device phone numbers. Enter your text message (up to 160 characters). Once the messages have been sent, DSC tracks these text messages to determine if they have been received. A positive acknowledgement is recorded when the text message has been received. If the recipient answers the message, the response is captured and delivered back to you. DSC now provides an online signup for non-profit and commercial organizations wishing to use our voice message broadcasting and SMS service. Contact DSC to learn more about how to send text messages using our SMS outsourcing services.